At the end of 2016, ZENITH cooperated with a building aggregate company from Quzhou, Zhejiang. The customer decided to invest a special granite crushing production line. Until now, the construction of the production line has come to an end. Compared with previous production lines, what differences does this production line have? The customer is an influential, government-supported green enterprise in local areas. To offer aggregates for local railway construction, the customer decided to build this production line. Because the production line is located in the industrial park, the project is required to be pollution- and noise-free and to meet the national stipulated standards. After multiple comparisons among different machine manufacturers, the customer chose to cooperate with ZENITH. 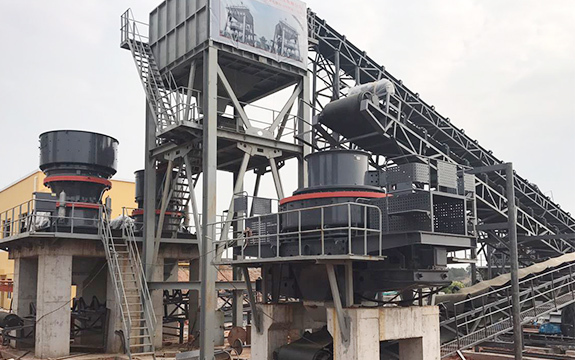 The second section: HST315 Medium-Crushing Cone Crusher, HST315 Fine-Crushing Cone Crusher, VSI5X Impact Crusher, S5X Heavy Vibrating Screen, fine sand recycle system, sewage treatment system and belt conveyor. Given the position of raw materials and layout of production base, the production line is divided into two sections. The first section, located in granite quarry, is coarse-crushing system. After being crushed coarsely, the materials are sent into the second section in industrial park--- crushing and screening system. 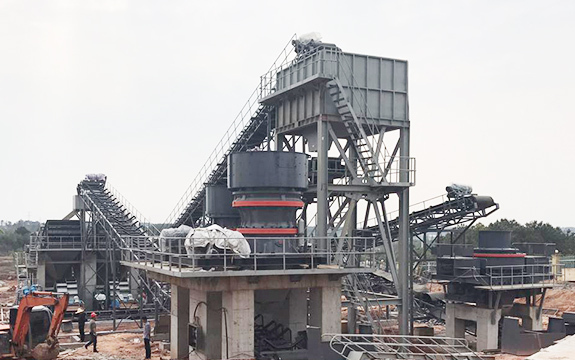 The raw materials in granite quarry are sent into the industrial park for piling and then the piled materials undergo crushing and screening of two-sectional cone crushers. Then, VSI5X impact crusher is used to adjust granularity of finished aggregates. The finished machine-made sand is produced through wet process. To keep grading and avoid sewage disposal, the production line is equipped with sand-washing recycle system and sewage treatment system. The production line designed by ZENITH is equipped with closed plant and sewage treatment system, avoiding noise and water pollution. Meanwhile, wet-process production avoids dust pollution. Sectional design not only meets the requirement of processing materials in granite quarry but also achieve aggregate production in the industrial park. Core equipment and project scheme were offered by professional aggregate machine manufacturer --- ZENITH. The quality of equipment is reliable and the professional technologies guarantee the quality of finished products. Under such a market background that prices of aggregate are soaring, considerable investment return can be expected when the production line is put into use. This project can use solid wastes like waste stone peeled off from mines, semi-finished products from aggregate plants and waste stone scraps as the raw materials to produce high-quality building aggregates, achieving recycle of wastes and adding the profits.